Jimmy Choo Black Suede Lace Up Ankle Boots:This can add a glamorous touch to your day and evening wear. 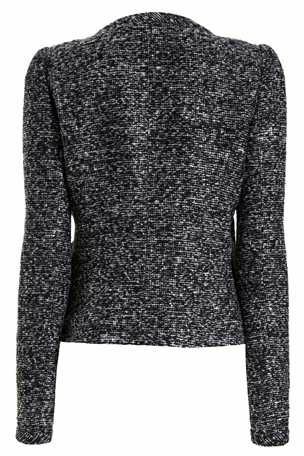 Get this dark grey long sleeve lined cardigan by River Island. This is definitely a fashion must have for wrapping up warm this season. The Hamilton tote from Michael Kors is the perfect accompaniment to this season’s ladylike looks. This leather bag is given a modern twist with a chunky chain strap and gold–tone hardware. Add it to your on–duty portfolio for the perfect mix of classic and contemporary elegance. 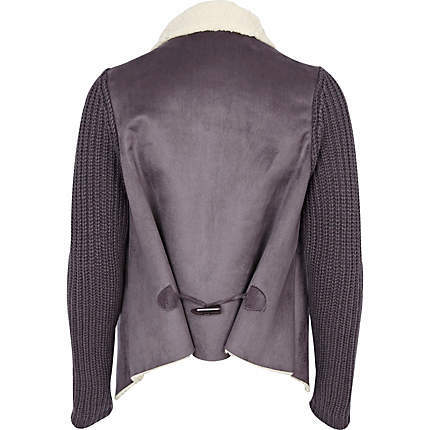 The tweed jacket is so on trend this season. It is a must have for every wardrobe. 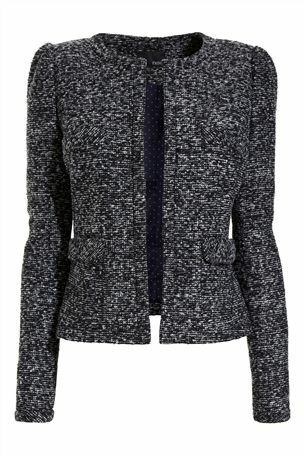 Whether it’s for work or weekend, Anglomania’s wool-blend coat will keep you cosy in style. With a knitted collar and faded degrade pattern, it is a striking option for this cold season. I love it.